Midtown Alliance members now have two ways to save at Midtown restaurants, retailers, and cultural centers. 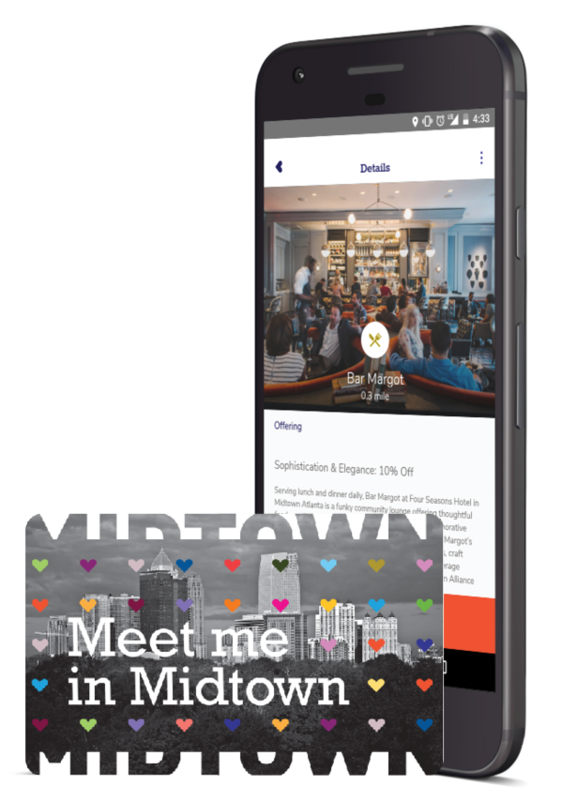 We are piloting a new project to bring our popular “Meet Me in Midtown” Discount Card into the digital age, putting exclusive, hyper-local offers and experiences at your fingertips. As participation grows, we will refine it and add new features. Be part of our mobile experiment, and tell us what you think. Available exclusively to Midtown Alliance members. Check out our member directory here to confirm if your residential building or employer is a Midtown Alliance member. Not a Midtown Alliance member? Join today! 1163 West Peachtree Street N.E.